As I mentioned on Monday, I rented a Nikon 105mm f/2.8 VR Micro (macro) lens from LensRentals.com for a few days. 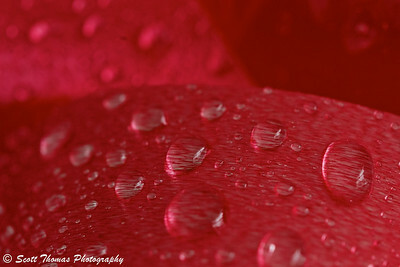 I had never used a macro lens before so I did some research by reading reviews by Ken Rockwell and Thom Hogan. With a little knowledge, I proceeded to use the lens in every way I read not to use it. 🙂 I hand held it and let the ISO climb on my Nikon D700 digital SLR camera up to 6400 and beyond. These were shake down shots as I got used to how the lens worked. Especially, in how close it would focus and under what conditions. Like most auto-focusing lenses, if there is not a lot of contrast in a scene, it tended to hunt. No switches needed to change to manual, I just reached out and turned the focusing ring. The next morning I set up in my studio to do some proper work with the lens. The setup consisted of background cross bar, several backgrounds, a table to make photographing small objects easier, a tripod, shutter release cable, light stand, Nikon SC-29 flash cord and Nikon SB-600 Speedlight. 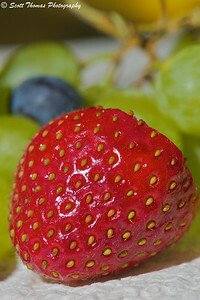 In the first set of photos, I attached the Nikon D700 with 105mm macro lens to the tripod. This is one lens when using it on a tripod, you must turn the image stabilization or VR, off. To further minimize camera shake, I took Tracy’s advice and turned on Exposure Delay which flips up the mirror and waits 4/10ths of a second after pressing the shutter to release. To make sure the focus was sharp and where I wanted it, I used LiveView and zoomed in to make my final focusing adjustments. 1/2s, f/16, ISO 200, EV +0.6, no flash. Focusing this lens at first was a challenge. Due to it’s extreme range from telephoto to 1:1 macro, it would sometimes hunt for focus through its entire range if there was not enough contrast to auto focus. Another quirk of this lens is how it “jumps” the image larger as you focus in close. The jumping was a little discerning at first. I soon got used to it and, by the end of the weekend, I barely noticed it. In contrast with the Reverse Lens Macro technique, focusing was so much easier as one would expect. For a comparison, I sprayed some water on a similar package ribbon as I did in the reverse lens macro post (see link). 1/125s, f/3.2, ISO 200, EV 0, flash. After using the tripod for most of the day, I took the camera off the tripod and left it attached to the flash. This gave me the freedom to move around and try different angles. I used faster shutter speeds as the D700 can flash sync up to 1/250th of a second. Even though macro lenses have a shallow depth of field when close focusing, I was able to use aperture to control creative exposures. I engaged the VR but, again, the closer the lens focused, the less effective the VR became. Another reason to use fast shutter speeds when not on a tripod. The last part of the lens test was the field trip to the zoo. I was even more impressed with this lens as I used it as a portrait lens for the small creatures. I could almost get nose to nose with this Prehensile-tailed Skink. 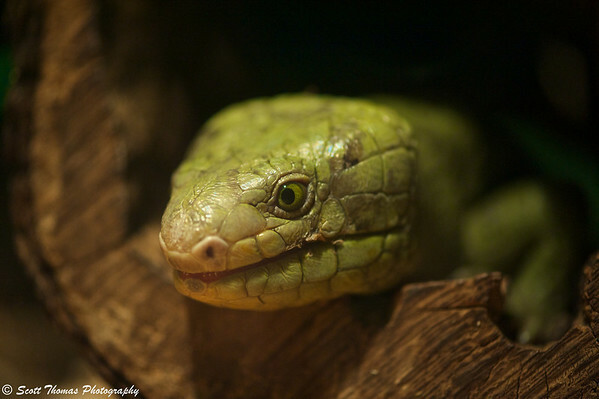 Prehensile-tailed Skink at the Rosamond Gifford Zoo in Syracuse, New York. Nikon D700/105VR, 1/60s, f/3.2, ISO 3200, EV 0. Like photographing people, you must get the eyes in focus. After that, the soft focused areas in front and behind the eyes are seen more easily. I am glad I tried close up filters and the reverse lens macro technique first before using a real macro lens. It made me appreciate the lens that much more. I did not have it long enough to really explore how close I could really get with it. I have now put a macro lens on my To Buy list. There are still a couple more I’d like to try out before making a purchase so this will not be the last of macro photos you’ll see from me. The reverse lens macro or RLM will show up once in a while. The extension tubes mentioned in my primer on Close Up Photography will also find a place in my photography soon. 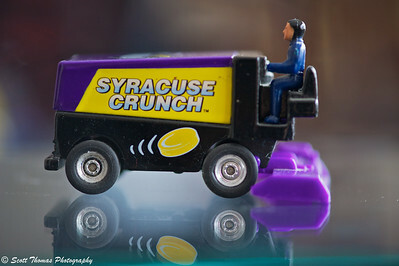 This entry was posted in Photography and tagged 105mm, droplets, flash, lens, macro, micro, new york, nikon, red, review, rosamond gifford, strawberry, syracuse, toy, tripod, water, zamboni, zoo. Bookmark the permalink. Cracking post! I love the shot of the lizard. The focus point is perfect. I agree. Image stabilsation should be off on a tripod. I’ve done this and it does make a difference. Hi, Chris! Thanks for stopping by. I made sure I focused on the skink’s eye. Took a bit as the light was low. This is why I love how you can just reach out and manual focus. No need to flip a switch to do so. Not all VR lenses need the VR turned off on a tripod. Read the lens manual to be sure. I did leave the VR on when I was using the monopod. This lens is addictive! I’ve never noticed the focus ‘jump’ you speak of. Not sure if that is because I use it on my D300 OR if I’ve been using it so long that I don’t remember…OR it is second nature now for me to switch to manual mode if and when that starts to occur. (My VR 105mm has a switch between AF and M). I also keep image stabilization on all the time. I actually haven’t found it necessary to use the exposure delay mode with just the lens itself…I only need that when I have the extension tubes attached. It really just takes practice. In the beginning, I had to realize just how shallow the DOF is AND where to place the focal point to get the effect I wanted. And to hold still (but I can handhold my cameras down to 1/30s or lower without issue). After awhile, it just became intuitive and I found I could very easily get lazy and carry the lens everywhere. Now, I make sure I switch different lens off and on to force myself out of a rut. Addictive is sure was. I still see so many opportunities to use as I look around. I really should have tried it a f/32 a few times when I was using a tripod. Thank you for all the tips on using it. I will surely own it or some sort of macro lens one day. It was way too much fun to use! Interesting! I really love the shot of the skink! He was a very nice model to work with. The lens was about 4 inches from his nose with only some glass between us. His eye was staring right at me. Sorry about that nifty-fifty (not!). 🙂 You and Tracy have convinced me to get a set of extension tubes. The macro is a luxury for me at the moment, too. But I will be getting one. Nice review of the lens. You know how much I love mine—I carry it with me anytime my camera is with me. I wouldn’t go ANYWHERE without it. I’m tempted to do what you did with renting and go rent the 200mm micro. I keep thinking I need it (even if I can’t really afford it). Maybe if I rented it and found I could do most things with the 105 (which I can), I wouldn’t feel compelled to rent it. I use my 105 for every flower and bug shot, as you know! I am craving the new 85mm though—after all the reviews I’ve been reading! If I had one, I’d have it with me all the time, too. I really enjoyed it as a portrait, macro and low light lens. As an FX camera owner, I think I would stick with a lens of, at least, 100mm or more. I will be trying out the Sigma 150mm Macro lens sometime this year.